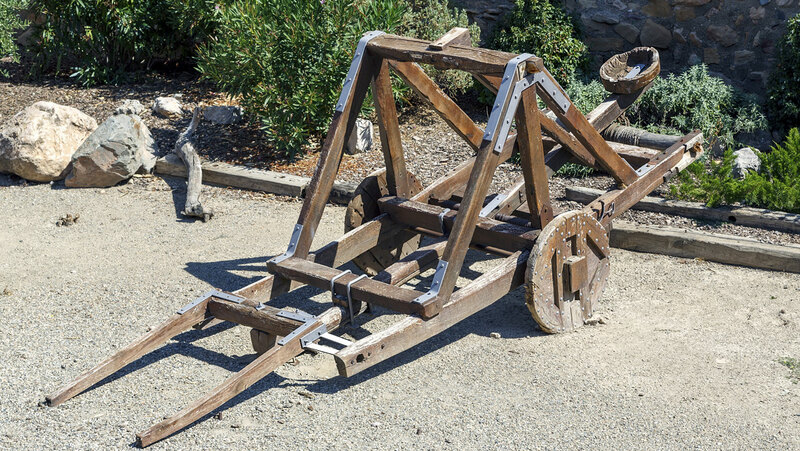 Trace the evolution of the catapult, which overcomes the inherent human physiological limitations associated with the bow and arrow. From hand-operated crossbows, catapults progressed to giant artillery pieces able to shoot enormous arrows and hurl heavy projectiles. Revisit a type of catapult called the palintone from Lecture 1, and watch it in action.